1. Alienation of people: We are creating refugees amongst our own people. 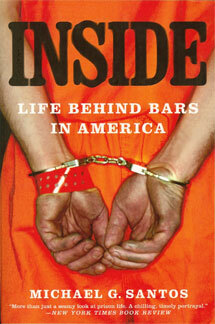 Inmates come back not feeling like they are part of their own community; not knowing “we the people” means them too. 2. Break up of families: unreasonable prison policies and a culture of oppression is further tarring up families and communities. How can this system support fathers in taking responsibility? 3. Transparency in government: We are turning one group of people to another (great majority of inmates are minorities) With Media barred from facilities and no independent oversight there is no accountability in Massachusetts DOC. Why isn’t media allowed in? If they want to investigate abuses and mismanagement why are they are constantly denied access. 4. President’s Leadership needed: How can President go and see Guantanamo Bay but doesn’t look into his own prisons? Can he assume that everything is right here? How come he can address schools, Middle Eastern countries, but will not address prisons? 5. System accountability: Every prison is different; there is no “system.” So who is responsible for outcome? Each State should be accountable about its prison system to the President. Focus on one place at a time. Find what’s wrong in MA to pass it on to another institution.